and symphonies and concerts at Deer Valley Resort. Mountain-chic elegance and unparalleled service are the hallmarks of Stein Eriksen Lodge Deer Valley, Utah’s only Forbes Five-Star hotel and spa. One of the most accessible U.S. mountain destinations, the lodge is slope-side to Deer Valley Resort and just 45 minutes from Salt Lake City International Airport. Stein Eriksen Lodge redefines the standard for destination meetings with European style, first-class amenities, upscale dining, and state-of-the-art function space. The 6,036-square-foot Stein Eriksen Ballroom — the largest luxury ballroom in Park City — easily hosts up to 490 guests for banquets and over 1,000 for receptions. The recently renovated Olympic Ballroom boasts 4,050 square feet of space, plus over 1,600 square feet of prefunction space, offering significant versatility and flexibility. The room can be split into six sections, creating smaller breakouts. Also available to meeting attendees are several executive boardrooms and a full-service business center. Additionally, the lodge just completed a $14 million expansion, including a new coffee shop, state-of-the-art movie theater, family pool, 3,500-square-foot entertainment center, and expansive outdoor plaza. The all-season lodge and its scenic surroundings offer a wealth of recreation as well. While the lodge is best known for its world-class skiing, year-round activities are just minutes away. After a day in the great outdoors, guests can retreat to the resort’s Forbes Five-Star spa or browse the onsite boutiques. I have known about Stein Eriksen for years but this was my first stay-I hope there will be more in the years to come. The staff is very courteous and professional and several of them learned my name after just meeting me for the first time. They genuinely cared about the guests and worked to meet their needs. The breakfasts and reception and dinner were excellent. The meeting room worked great. My own room (217-1) was like no other room I have ever stayed in. My only regret was not having others in the family with me to share it with. With a staff ready to help you put on and take off your ski boots, and a hot cup of cocoa waiting after a busy afternoon, they really know how to pamper their guests. The entire crew of the GRR was thrilled and passed kudos and thanks all around. What a tremendous can-do staff! I hope to work together again in the future. 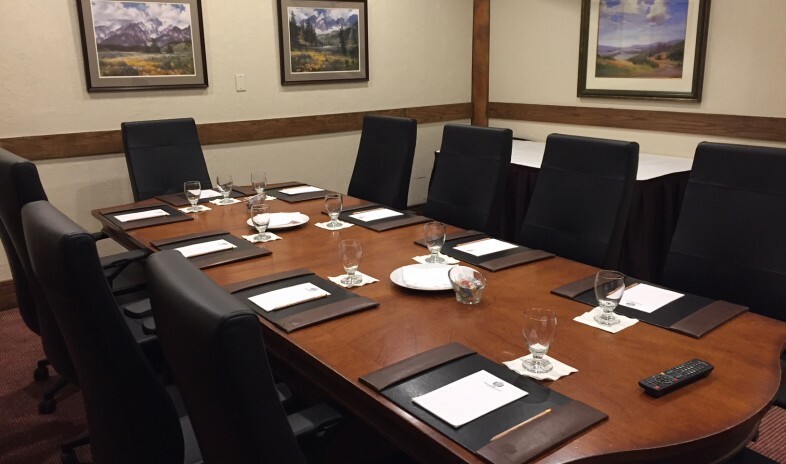 Stein Eriksen Lodge is an excellent place to host meetings of all types. They were able to host our group at max capacity and everything went off without a hitch. Their staff played a key role in making our event a success. I was entirely impressed with the Stein Eriksen Lodge. Everything was professional and exceptional, from the accommodations, conference rooms, food, service, and front desk, to those who greeted us and took care of our valet parking. I especially appreciated the consideration given to us when the previous group’s screen, projector table, and easels were left in their place in the Flagstaff room for us to use. Although I brought each of the above with me, it greatly simplified my job by not having to set them up. I have not seen such a kind consideration at any other venue we have booked with to this point. I will definitely forward the resort as a future location for one or more of our many upcoming conferences, and because of this seamlessly positive experience, I hope to make Stein Eriksen a tradition for our department. Stein Eriksen is truly an amazing experience! This hotel has exceptional customer service; they pay attention to EVERY detail. Breathtaking views, a 5 star spa, great team building activities and lots of leisure time options makes Stein Eriksen an elite destination. Perfect. That is the only word that I can think of that describes our recent event at the Stein Eriksen Lodge. This property is the best for ski in and ski out events. The hotel is awesome and the service is top notch. Teri Hulburt and the her sales staff is great to work with. From the contracting to the actual event the staff is wonderful to work with. This a great resort for summer meetings as well. The pricing in the summer is very cost effective. Much higher in the winter but worth the cost. The Stein Eriksen Lodge was the exact combination of city comforts in the mountain wilderness that we needed for our board meeting. Most of our executives are used to the hustle and bustle of city life, and to be able to enjoy the accommodations and comforts of city living, without the stress and traffic was exactly what was needed. Stein Eriksen is set in such a gorgeous setting and the board meeting space complimented that perfectly. After the weekend board meeting, our executives were able to enjoy the afternoon leisurely, and there were many options nearby. Although most of them took advantage of the golf, I heard great experiences with horseback riding and fishing. PARK CITY, Utah (May 1, 2017) – Stein Eriksen Lodge has embarked on an expansion project to further add to the luxury and service provided by the premier, iconic property. For more than three decades, Stein Eriksen Lodge has established itself as one of the most highly respected mountain resort destinations in the world and a true industry leader in luxury hospitality. Never one to rest on its laurels, the 2017 Lodge expansion is designed to uphold and improve upon the offerings within the Lodge that have consistently made it the benchmark for what a luxury resort hotel should be. New Entertainment Center: With a variety of games, engaging activities and casual food options to choose from, the 3,500 square foot Entertainment Center enhances guests’ stay and will provide the opportunity of more quality time spent together for individuals, families and groups. Expanded Ski Locker Room: Guests can store all their ski gear in the newly renovated, state-of-the-art locker room, offering 500 individual lockers with boot and glove dryers. The Lodge’s ski valet team sets the standard in guest service to care for each guest’s ski equipment and skiing needs. Coffee Bar: At the new Coffee Bar, guests can indulge in a cup of Stein’s signature blend coffee, hot chocolate, espresso and house-made pastries slope side at Deer Valley Resort. Theater Room: Here guests of all ages can enjoy cinema favorites or enhance their meeting or event with a movie or visual presentation, the first of its kind at any Park City hotel. Outdoor Plaza Space: With modern embellishments, such as new fire pits and heated walk paths, the Lodge’s outdoor plaza elevates meetings, events or weddings. Family Pool & Expanded Lounging Area: A newly added family-friendly pool and lounge space creates a more enhanced poolside experience. Centrally located mid-mountain at Deer Valley Resort, Stein Eriksen Lodge is the ultimate year-round luxury resort, offering world-class hospitality, accommodations, dining, and spa services in an intimate, Norwegian mountain ambiance. For more information about Stein Eriksen Lodge’s new expansions, please contact Guy Morris at (435) 615-0867 or gmorris@steinlodge.com. Additional information about the Stein Eriksen Lodge 2017 expansions can be found at www.steinlodge.com/expansion. The Forbes Five-Star Stein Eriksen Lodge is one of America's premier resorts. One of the most accessible mountain destinations in North America and an official resort of Cadillac, the Lodge provides guests with the ultimate year-round luxury destination, offering world-class hospitality, accommodations, fine-dining, meeting facilities, spa services, recreation, and luxury Cadillac car services. For more information, visit the Lodge’s website at www.steinlodge.com or call (800) 453-1302. PARK CITY, Utah (April 19, 2017) – Stein Eriksen Lodge has been selected for the 2017 American Excellence Award amongst all its peers and competitors by the American Economic Institute (AEI). Stein Eriksen Lodge has consistently demonstrated a high regard for upholding business ethics and company values. This recognition by AEI marks a significant achievement as an emerging leader within various competitors and is setting benchmarks that the industry should follow. The AEI is a leading authority on researching, evaluating and recognizing companies across a wide spectrum of industries that meet its stringent standards of excellence. It has spearheaded the idea of independent enterprise and entrepreneurial growth allowing businesses of all sizes to be recognized locally and encouraged globally. Particular emphasis is given to meeting and exceeding industry benchmarks for customer service, product quality and ethical practices. PARK CITY, Utah (December 6, 2016) – Stein Eriksen Lodge, in conjunction with Deer Valley Resort, will honor its namesake, the late Stein Eriksen, with an inaugural Stein Eriksen Day celebration. The celebration will take place on Eriksen’s birthday, December 11, proclaimed Stein Eriksen Day by Governor Mike Leavitt in 2001. Park City’s City Council will unveil and dedicate a plaque in Eriksen’s honor, placed near the three iconic deer statues and Olympic torch just off the Glitretind Restaurant and Troll Hallen Lounge deck. The plaque will memorialize December 11 as Stein Eriksen Day, to honor Stein’s enduring memory and his outstanding contribution to the community of Park City and the sport of skiing. Stein Eriksen Day celebration festivities will begin at 3 pm on December 11, 2016, with remarks from Eriksen’s son, Bjorn Eriksen; Stein Eriksen Lodge CEO, Russ Olsen, President of Royal Street Corporation and Deer Valley Resort President and General Manager, Bob Wheaton. The Lodge will be offering Eriksen’s favorite Marzipan cake, along with coffee and hot chocolate all complimentary, as well as a selection of additional food and beverage menu items available at Troll Hallen Lounge. Deer Valley Resort will be featuring Farikal, the national dish of Norway, grilled Lamb burger with Jarlsberg cheese, pickled herring and Norwegian gravlax, house made venison meatballs, Norwegian Goro, open-faced grilled venison, savory Dutch baby smoked salmon, pepperkaker, Norwegian ski king apple tart, smoked salmon filet, lamb, cabbage and sausage stew, Stein’s favorite Marzipan cake, Vaffler, fresh strawberry apple crepes and savory Dutch baby in their restaurants. Entertainment will include live music and guests are encouraged to wear Stein-inspired Norwegian attire while skiing on December 11 and during the plaque dedication. The name Stein Eriksen has been synonymous with skiing style and elegance for more than half a century. He was the first alpine skier to win triple gold at a world championship, was an Olympic Gold Medalist and an ambassador and father of freestyle skiing. Eriksen parlayed all that he knew and loved about the sport into an incredible career that spanned almost six decades and changed the face of alpine skiing worldwide. Eriksen’s inimitable style and captivating personality garnered him the attention of the news media and friendships of the Hollywood elite. His status was enhanced by his spectacular forward somersault, an aerial maneuver credited as the forerunner of the inverted aerials performed by freestyle skiers today. It is this legacy that will be celebrated annually at Stein Eriksen Day. Please plan to join us as we toast a legend and reminsce on the moments and memories shared with a man who shaped the freestyle ski movement and paved the way for so many ski-hopefuls to follow. For more information on the Stein Day celebration, please contact Jessica Turner at (435) 604-2793 or jturner@steinlodge.com or Senior Communications Manager for Deer Valley Resort, Emily Summers at (435) 645-6522 or emily@deervalley.com. PARK CITY, Utah (November 25, 2016) – What makes an ideal ski hotel? Some might say a slope-side location with ski-in/ski-out service. Others would point to a serene spa for soothing sore muscles or a warming whirlpool with mountain views. USA Today 10Best asked a panel of skiing and snowboarding experts to nominate its favorite accommodations, and then asked readers to vote for their favorites. The results are in and Stein Eriksen Lodge placed among the top 10 best in the U.S.
Stein Eriksen Lodge is so pleased to rank among the best, again. This speaks highly of those who have experienced the Lodge, its exceptional services and outstanding amenities. PARK CITY, Utah (October 19, 2016) – Condé Nast Traveler today announced the results of its 29th annual Readers’ Choice Awards. Stein Eriksen Lodge was recognized as the #7 "Top Resort in the West." Stein Eriksen Lodge Deer Valley. Stein Eriksen Lodge welcomes guests to the “World’s Best Ski Hotel,” as awarded by the World Ski Awards. The 5-Star Lodge offers a unique, one-of-a-kind, ski-in/ski-out, luxury setting, in which exemplary service is at the forefront of the guest experience. About Stein Collection: Each independently owned and managed property within the Stein Collection sets the standard for authentic hospitality and remarkable service found only at our one-of-a-kind destinations. The Collection's winning heritage and personality is the natural extension of Olympic gold medalist downhill skier Stein Eriksen, and his legendary dedication to perfection. Year-round, consistent, award-winning service is delivered to guests and owners against the backdrop of world-renowned locations. The little touches, the celebrity treatment and the legendary care we put into each and every stay sets the Collection apart. Wherever you see the Stein Collection logo, you are putting a measure of perfection into your next escape. Stein Collection delivers perfect, legendary experiences. PARK CITY, Utah (August 30, 2016) – Stein Eriksen Lodge has been selected for the 2016 Utah Excellence Award amongst all its peers and competitors by the American Economic Institute (AEI). Each year the AEI conducts business surveys and industry research to identify companies that have achieved demonstrable success in their local business environment and industry category. These companies are recognized as having enhanced the commitment and contribution of small businesses through service to their customers and community. Companies of this caliber enhance the consumer driven stature that Utah is renowned for. AEI is a leading authority on researching, evaluating and recognizing companies across a wide spectrum of industries that meet its stringent standards of excellence. It has spearheaded the idea of independent enterprise and entrepreneurial growth allowing businesses of all sizes to be recognized locally and encouraged globally. More information on AEI can be found at www.aefgh.org. DEER VALLEY RESORT, Park City, UT (December 27, 2015) – Stein Eriksen, the legendary alpine skier whose revolutionary technique and distinctive style made him a founder of modern skiing, passed away peacefully on Sunday, December 27, 2015 at his home in Park City, Utah surrounded by family. He was 88 years old. Born December 11, 1927, Eriksen originally gained fame through competition at the 1952 Oslo Olympic Winter Games, where he took the gold and silver medals in the giant slalom and slalom events, respectively. Two years later he went on to win three gold medals at the World Championships in Åre, Sweden in 1954, making him the first alpine skier to win the world championship ‘triple gold.' Shortly thereafter, Eriksen’s inimitable style and captivating personality garnered him the attention of the news media and friendship of the Hollywood elite. His status was enhanced by his spectacular forward somersault, an aerial maneuver credited as the forerunner of the inverted aerials performed by freestyle skiers today. Among his numerous awards and honors, Eriksen was awarded the Knight First Class honor in 1997 by His Majesty the King of Norway as a reward for outstanding service in the interest of Norway, indicating his dedication to his home country. His contribution to the world of sports and his commitment to the people of his homeland also earned him the Royal Order of Merit. In recognition of his pioneering spirit and contribution to the early development of the ski industry, Stein received the Pioneer Award from the Intermountain Ski Areas Association (ISAA) in 1998. Eriksen served as an Olympic Ambassador at the 2002 Olympic Winter Games, during which some events took place at his home mountain of Deer Valley Resort and coincided with the 50th anniversary of his Olympic medals. Eriksen was inducted into the Intermountain Ski Hall of Fame in 2003 and the Professional Ski Instructors of America (PSIA) Hall of Fame in 2013. In April of 2015, he received the Lifetime Achievement Award from the Utah Sports Commission. Eriksen was also awarded the Outstanding Contribution to Ski Tourism by World Ski Awards in 2015.
information or interviews to either Coleen Reardon or Emily Summers from Deer Valley Resort. PARK CITY, Utah (November 21, 2015) – Stein Eriksen Lodge is pleased to announce it has earned the distinction of World's Best Ski Hotel by the World Ski Awards for the second consecutive year. The announcement was made this weekend at the 2015 Ski Oscars award Gala Ceremony held in the legendary winter sports destination of Kitzbühel, Austria. With more than 2 million votes cast from leading ski tourism professionals and ski consumers from 127 countries, Stein Eriksen Lodge first earned the title of United States' Best Ski Hotel out of 13 nominees, and then garnered the crowning title of World's Best Ski Hotel from 24 country finalists. In total, more than 162 properties from countries across the globe were vying for the renowned award. Ski legend and lodge namesake, Stein Eriksen was also honored at the 2015 Ski Oscars, receiving the grand finale award of the night for Outstanding Contribution to Ski Tourism. This lifetime achievement award was bestowed on Eriksen for his work at Boyne Mountain in Michigan, Sugarbush in Vermont, Heavenly Valley in California, Snowmass and Aspen in Colorado, and Park City Ski Community, Deer Valley Resort and Stein Eriksen Lodge in Utah. For the past three decades, Stein Eriksen Lodge, located mid-mountain at Deer Valley Resort, has established itself as one of the most highly respected mountain resort destinations in the world. In addition to the coveted Ski Oscars World's Best Ski Hotel award, Stein Eriksen Lodge maintains its distinction as Utah's only Forbes Five Star and AAA Five Diamond resort. The Lodge also ranks highly as a World's Best Hotel from Travel + Leisure and from Condé Nast Traveler's Gold List and Top 40 Resorts in the Western U.S List. It has been named among Forbes Magazine's Top Ten Best Ski Resorts in North America, as well as earned top rankings from reader polls in SKI and Skiing magazines, Resorts & Great Hotels, Zagat, DiRoNA, Santé and Wine Spectator, among many others. The World Ski Awards is part of the World Travel Awards, serving as “the Oscars of the travel industry” for the past 22 years. To learn more about the lodge's and Stein Eriksen's prestigious awards, please contact John Perry at 435.659.6197 or jperry@steinlodge.com. Additional information about Stein Eriksen Lodge can be found at www.steinlodge.com. PARK CITY, Utah (February 19, 2015) – Stein Eriksen Lodge is pleased to announce that the Lodge and The Spa at Stein Eriksen Lodge have once again been awarded the prestigious Forbes Travel Guide Five-Star award. This marks the eighth consecutive year the Lodge has been bestowed with the hospitality industry's highest honors, maintaining Stein Eriksen Lodge's position among an elite list of 115 prestigious lodging establishments in the world and Utah's only establishment to earn the distinction. It is the fourth year in a row The Spa has received a Five-Star standing, making it one of only 48 spas globally to achieve the award. In addition, the Glitretind restaurant, located within Stein Eriksen Lodge, received a Four-Star award for the eighth consecutive year. "The Forbes Travel Guide Five-Star Award is the global benchmark for luxury travel," said Russ Olsen, CEO of Stein Eriksen Lodge. "The Lodge is dedicated to meeting and exceeding the 500 criteria points used to qualify for such an esteemed accolade. Doing so demonstrates our staff's unyielding devotion to creating exceptional travel experiences for all our guests, many of whom are among world's most discerning travelers." For the past three decades, Stein Eriksen Lodge, located mid-mountain at Deer Valley Resort, has established itself as a true leader in alpine hospitality and one of the most highly respected mountain resort destinations in the world. In 2003, the Lodge was the first Utah property to be recognized with the AAA Five-Diamond rating and it first received the Forbes Five-Star award in 2008. Since then, and with several nationally branded properties coming to the Park City area, Stein Eriksen Lodge has upheld its standing as the first and only Utah property to achieve this distinction. The Spa at Stein Eriksen Lodge, which underwent an extensive expansion and remodel in 2009, was established to provide guests a sanctuary to unwind after a day of outdoor activity and an oasis for receiving superlative deep therapy for overall body wellness and beautification. "This award signifies Stein Eriksen Lodge as an exceptional hotel that provides a memorable experience through virtually flawless service and the finest of amenities. The staff must be intuitive, engaging and passionate, and eagerly goes beyond expectations. The hotel was designed with guests' comfort in mind, with particular attention paid to craftsmanship and quality of product. A Forbes Travel Guide Five-Star property is a destination unto itself,” said Olsen, who attended the award announcement ceremony at the five-star Award Dinner at the Ritz-Carlton in Naples, Florida. Since its inception in 1958, the Forbes Travel Guide has used an objective set of judging criteria, unique among leading travel books, which sets national standards yet allows for regional and individual preferences. A carefully selected team of hospitality experts anonymously evaluates the establishments listed in the Guide, using a proprietary ratings process based on more than 500 rigorous and standardized criteria that are evaluated and updated annually. Properties must offer a level of experience appropriate to the cost, based on the quality of such items as décor, comfort, amenities and services. PARK CITY, Utah (July 8, 2014) – For the 19th consecutive year, Travel + Leisure asked its discerning readers to cast votes for the hotels, destinations and companies that define the very best in travel and Stein Eriksen Lodge earned top rankings. Readers ranked the Lodge #21 out of the Top 100 Hotels in the World and the #3 Top Resorts in the Continental United States. Stein Eriksen Lodge was named the Best Hotel by Region and was the only Utah resort to receive that recognition. This marks the eighth consecutive year Stein Eriksen Lodge has earned a World's Best Hotel distinction from T+L and it is the Lodge's fifth consecutive year as a T+L Top 500 Hotel. The results of Travel + Leisure World's Best Awards are listed online at www.TravelandLeisure.com and will be featured in the digital editions of the magazine and the August issue of Travel + Leisure on newsstands July 18. The top winners in each category will be honored at an awards ceremony in New York City on Thursday, July 24, hosted by Editor-in-Chief Nancy Novogrod and VP/Publisher Jay Meyer. For additional information regarding Stein Eriksen Lodge and the T+L World's Best Awardsor any of the property's accolades, please contact John Perry at 435.659.6197 or jperry@steinlodge.com. Additional information about Stein Eriksen Lodge can be found at www.steinlodge.com. For the Travel + Leisure World's Best Awards 2014 readers' survey methodology, visit http://www.travelandleisure.com/promo/pdfs/Worlds-Best-Methodology-2014.pdf. PARK CITY, UT (January 23, 2013) –¬¬ Stein Eriksen Lodge Deer Valley will unveil Park City’s newest luxury ballroom in May 2013. The new Stein Eriksen Ballroom, a multi-million dollar addition, is the first large scale meeting space expansion at Utah’s Only Forbes Five Star Hotel & Spa since the Olympic Event Center was built in 2001. The additional ballroom and terraces will nearly double the meeting capacity of the hotel. With its premiere location mid-mountain on Deer Valley Resort, the hotel has hosted enchanting gold medal meetings, inspired conferences, and pristine alpine destination weddings. The new ballroom will accommodate flexible seating capacities up to 500 guests with breathtaking mountain views of Deer Valley Resort and Park City Mountain Resort. The 6,000 square foot ballroom may be divided by retractable walls and glass doors. A seamless indoor-outdoor event is available using the 3,736 square feet of two-tiered terrace (upper and lower terraces 1,868 square feet each.) Interior accents were selected to harmoniously fit with Stein’s signature Norwegian mountain lodge design and décor. Including aged iron and copper chandeliers, alder wood ceilings, hand-carved mantled fireplaces, and custom painted walls. Find an Exterior Rendering, Center Layout, and Capacity Chart on pages 3-5. Property-wide Stein Eriksen Lodge Deer Valley offers 26,384 square feet of total meeting space (16,384 square feet of Indoor & 10,000 square feet of Outdoor Decks and Terraces) to compliment the hotel’s 180 guest rooms (68 suites and 112 guest rooms.) Planners can also utilize suites which feature full-kitchens, spacious living rooms, and private decks for breakout rooms and/or hospitality suites. Larger groups can also experience the inspiring setting of Deer Valley Resort’s Mid-Mountain Silver Lake Village by utilizing the adjacent, AAA Four Diamond hotel, The Chateaux Deer Valley. Steins Sales Managers can provide information about combining the Chateaux’s 6,040 square foot ballroom and 140 guest rooms with the Steins facilities to accommodate groups larger than 500 guests. Memorable cuisine is a crucial element to any meeting or wedding. The Culinary staff at Steins, comprised of award winning chefs, sommeliers, and pastry chefs, consistently creates custom menus using seasonal, thoughtfully sourced organic ingredients. Since 2000, Executive Chef Zane Holmquist has led the food and beverage team displaying his culinary versatility and passion. “I am currently designing innovative menu options, creative presentations, and interactive services to compliment the new event space,” said Executive Chef and Food & Beverage Director Zane Holmquist. A native of Utah, Chef Zane believes in giving back to the community through charitable events, local partnerships and mentoring culinary students. Stein Eriksen Lodge Deer Valley’s ownership and management team share the same passion and commitment to preserving a strong local and state community. “We are proud to be able to partner with a group of esteemed Utah-based companies on this project. Founded in Utah 30 years ago, it is a priority of Steins ownership and management is to collaborate with local partners to preserve the spirit of Park City and Utah. Partners include WPA Architecture (Provo, UT), Jedrziewski Designs (Salt Lake City, UT), Juxtapose Design (Park City, UT), and Zions Bank. For additional information regarding the expansion, contact Sarah Myers at 435-645-6451 or smyers@steinlodge.com. For sales related inquires, contact the Group Sales & Catering Department at (866) 773-8980 or sales@steinlodge.com. Information about Stein Eriksen Lodge Deer Valley is also available at www.steinlodge.com. The Forbes Five Star, AAA Five Diamond, Stein Eriksen Lodge Deer Valley is a legendary luxury ski experience tailor-made for discerning alpine enthusiasts. The most accessible mountain destinations in North America, the Lodge provides guests with the ultimate year-round luxury destination, offering world-class hospitality, accommodations, fine-dining, and spa services in an intimate mountain setting. For more information, visit the Lodge’s Web site at www.steinlodge.com or call (800) 453-1302. The Mobil Travel Guide liked what it saw this year at Stein Eriksen Lodge in Deer Valley, assigning a five-star rating to the hotel and awarding four stars to its Glitretind restaurant and its spa. Only two other hospitality-industry establishments in Utah received the Travel Guide's prestigious five- or four-star honors. The Grand America Hotel in Salt Lake City received a four-star rating, as did the Riverhorse on Main restaurant in Park City. Mobil announced Thursday that only 72 hotels, restaurants and spas in the United States and Canada received five-star awards, "representing the best of the best properties in luxury travel." The list included 44 hotels, 20 restaurants and eight spas, the spa category reflecting a significant increase from the three five-star awards granted last year. Four stars were granted to 137 hotels, 159 restaurants and 95 spas. Designations are based on 750 standardized criteria for hotels, 250 for restaurants and 450 for spas. Properties are evaluated in unannounced, undercover visits by Mobil expert inspectors. PARK CITY, Utah (October, 2008) - Stein Eriksen Lodge, Utah's only Mobil Five-Star, AAA Five Diamond property, has announced an ambitious goal to raise $50,000 in the future to aid the Huntsman Cancer Institute's "Room to Heal" campaign-a campaign set to double the Institute's space for healing and hope. To achieve the desired contribution, the Lodge has appointed one of its luxurious junior suites as "The Giving Room"-where 10 percent of the total room revenue generated from the suite will be donated to the Huntsman Cancer Institute. "Stein Eriksen Lodge feels strongly about giving back to the community and designating a Giving Room' is an exciting opportunity to help a truly worthwhile cause and organization," said Russ Olsen, chief executive officer at Stein Eriksen Lodge. "The Lodge strives for excellence in providing guests exceptional service and the Huntsman Cancer Institute is dedicated to excellence in patient care." The Huntsman Cancer Hospital expansion will double inpatient capacity from 50 beds to 100 and will double existing imaging and radiation treatment facilities and operating rooms. It will house the new Blood and Bone Marrow Transplant and Myeloma Program and expanded Cancer Learning and Wellness Centers. It will also accommodate expanded clinical trials and enhance patient access to promising new treatments. By the Lodge pledging a $50,000 contribution, the Huntsman Cancer Hospital will reserve a patient room in the new expansion as the Stein Eriksen Lodge room. The Lodge plans to incorporate decorative elements to reflect the Lodge's alpine history. "Expansion has long been part of our vision for Huntsman Cancer Institute," said Jon M. Huntsman, Huntsman Cancer Institute's founder and principal benefactor. "We have worked hard to donate or raise the funds necessary to proceed with this great project. Most of the cancer cases undertaken here are acute or more advanced than can be effectively treated at even the finest community hospitals. Patients are coming to the Institute from Utah, the country and the world with hopes that the specialized technology and the latest developments from our research and clinical trials will save their lives. Expansion is critical to our having ample treatment rooms and hospital beds that will allow their hopes to be fulfilled." In addition to proceeds raised from "The Giving Room," Preferred Hotel Group, of which Stein Eriksen Lodge is a member, will contribute a donation to the Institute, and, every night that the "The Giving Room" is occupied from May 1 through Aug. 31, 2009, the Ueberroth Family Foundation will donate matching funds collected from "The Giving Room". Starting this December, the Lodge will kick off an Employee Giving program, whereby employees may make payroll deductions to help the Lodge achieve the $50,000 donation goal and information regarding "The Giving Room" will be featured in all guest rooms so guests can choose to support the Lodge efforts and request the room for future stays. Additional ongoing promotions will also take place at Stein Eriksen Lodge throughout the upcoming year. For more information on "The Giving Room" and Stein Eriksen Lodge, contact Sarah Myers at (435) 645-6451 or smyers@steinlodge.com. DEER VALLEY RESORT, Park City, UT (January 28, 2008) - The Mobil Travel Guide bestowed one of the hospitality industry's most prestigious designations-the Mobil Five Star award-upon Stein Eriksen Lodge today, making it the first Utah property to achieve this distinction. Stein Eriksen Lodge joins an elite list of 41 hotels, inns and resorts throughout North America as one of only four new Five Star properties. Over the past 25 years, Stein Eriksen Lodge has established itself as a leader in alpine hospitality and one of the most highly respected mountain resort destinations in the world. In 2003, the Lodge was the first Utah property to be recognized with the AAA Five Diamond rating. The addition of the Mobil Five Star award makes Stein Eriksen Lodge one of only 30 properties in North America to hold both Mobil Travel Guide's and AAA's highest honors. "It is a significant honor to become Utah's first hotel to receive the Mobil Five Star award," said Russ Olsen, chief executive officer of Stein Eriksen Lodge. "This distinction illustrates the unyielding dedication of our staff to provide uncompromising service of the highest caliber. Without such dedication given on a daily basis, this honor would not have been possible." With this award, Stein Eriksen Lodge joins a very exclusive group of properties capable of offering guests full assurance that they will consistently benefit from uncompromising, exceptional service. Located mid-mountain at Deer Valley Resort, Stein Eriksen Lodge is the ultimate year-round luxury resort, offering world-class hospitality, accommodations, fine-dining, meeting facilities, spa services and recreation. With 180 rooms including 68 suites, the ski-in/ski-out property features such amenities as full-service concierge, ski valets, twice daily maid service, rental shop and boutiques. Stein Eriksen Lodge is also home to the Four-Star Glitretind restaurant, and the intimate Four- Star Spa at Stein Eriksen Lodge. Since its inception in 1958, the Mobil Travel Guide has used an objective set of judging criteria, unique among leading travel books, which sets national standards yet allows for regional and individual preferences. A carefully selected team of hospitality experts anonymously evaluates the establishments listed in the Guide, using a proprietary ratings process based on more than 750 rigorous and standardized criteria that are evaluated and updated annually. Properties must offer a level of experience appropriate to the cost, based on the quality of such items as dcor, comfort, amenities, and services. For a detailed explanation of Mobil Travel Guide's industry-leading ratings process, visit www.mobiltravelguide.com. For additional information regarding Stein Eriksen Lodge, contact Allie Kelly at 435.645.6451 or akelly@steinlodge.com, or visit the Stein Eriksen Lodge web site at www.steinlodge.com. The Mobil Five Star, AAA Five Diamond, Stein Eriksen Lodge is one of America's premier resorts and a member of the exclusive international association of independent luxury hotels and resorts, Preferred Hotels & Resorts Worldwide. One of the most accessible mountain destinations in North America, the Lodge provides guests with the ultimate year-round luxury destination, offering world-class hospitality, accommodations, fine-dining, meeting facilities, spa services and recreation. For more information, visit the Lodge's Web site at www.steinlodge.com or call 800.453.1302.